Commercial Drivers are our Priority! We can get you back to Truckin’ Fast! Pass Your DOT Medical Exam! Dr. Atkinson knows how important it is that you continue your livelihood as a commercial driver. With his extensive knowledge of the DOT Physical Exam medical guidelines, Dr. Atkinson will steer you through the DOT Physical Exam requirements so you can Keep on Truckin’. Looking for a DOT Physical Exam or CDL Physical Exam in Phoenix, Arizona? You’ve come to the right place! Dr. Atkinson, DC is a National Registry Certified Medical Examine, who performs DOT Physical Exams for Commercial Drivers (CDL Physical Exam). Commercial Drivers are our priority. We know how important the driver's career and livelihood is to commercial drivers and we want to help. That is the reason we provide "Driver Helpful" CDL physical exams. Dr. Atkinson is a Phoenix Chiropractor, and a graduate of the National College of Chiropractic in Lombard Illinois. He is a licensed Chiropractor and Physiotherapist in Illinois and Arizona since 1999. Dr. Atkinson and his staff work with patients seeking CDL physical exams, chiropractic spinal correction, pain relief from auto/work accidents, sports injuries, headaches, and also offers nutritional and weight loss counseling. 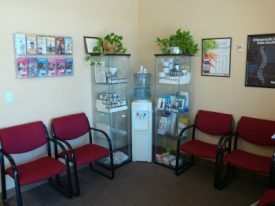 Dr. Atkinson founded Advanced Chiropractic and Wellness Center in December 2003.